Made from fresh-ripened tomatoes and a special blend of spices, onion powder, and vinegar, this Heinz fancy grade tomato ketchup adds the perfect sweet and slightly tangy flavor to your menu items. Its vibrant red color and sweet, smooth consistency, and juicy taste make it a classic option to dip and enjoy with mild fried foods or to spread on top of sandwiches. From crispy, golden-brown french fries to hearty, old-fashioned burgers, your guests will fall head over heels for this savory condiment. 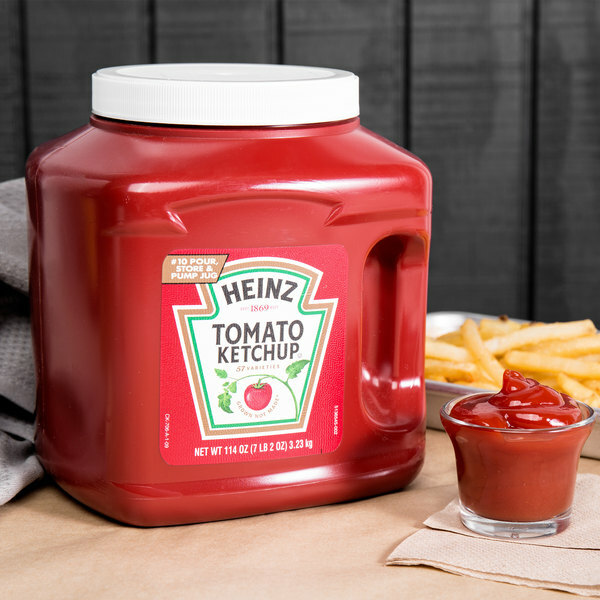 Heinz ketchup is created from premium tomatoes, grown from a special seed that produces rich tomatoes packed full of nutrients. 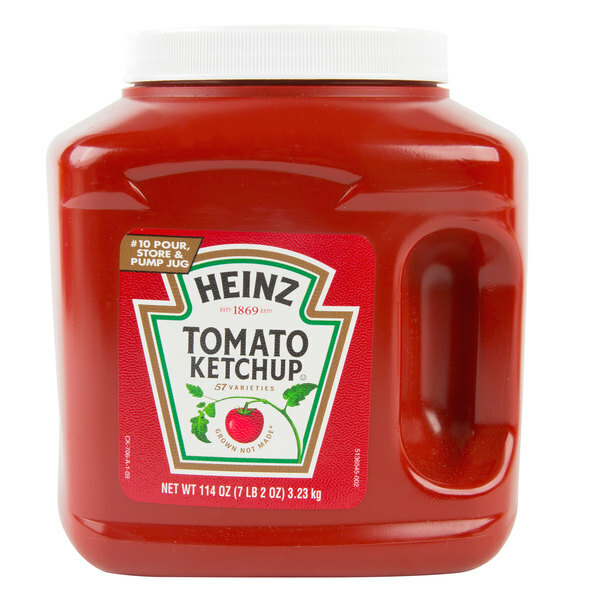 This fancy grade ketchup is also the USDA's highest grade for ketchup, as it has the highest tomato solid concentration in comparison to other grades. Heinz ketchup includes essential vitamins, minerals, and lycopene, a healthy antioxidant found in cooked tomatoes. The large jug is great to use along with a pump (sold separately) to create perfect portions, or to refill bottles for table service. The jug is also easy to store as it's designed to easily close for safe storing, eliminating the need to waste time moving product into a different container for storage. 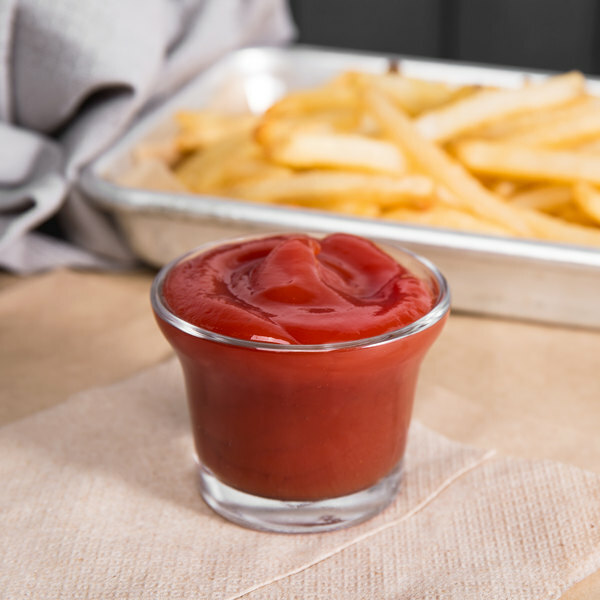 Keep this ketchup on hand to make baked beans, marinades, and chili sauce or simply serve it plain to give your customers the condiment they grew up with and still love. Well, it's Heinz product and of course it's amazing! The plastic jar is great to store and easy to dispense. Would recommend this or the can version.